How to start…”Dear QSDS Scholarship Committee” doesn’t capture the spirit of the people who enabled me to attend Jane Dunnewold’s class at QSDS this year. Although, I must say, Jane’s class has given me a foundation on which to build my artistic career. With her guidance I now have tools to use when searching for an “elegant solution” to compositional problems. I have an approach to use to present meaning in my art without preaching. This class has given me more than devore and paper lamination. It has given me something beyond technique and for this I am extremely grateful. And I was in that class because you granted me a scholarship. Thank you, thank you, thank you. 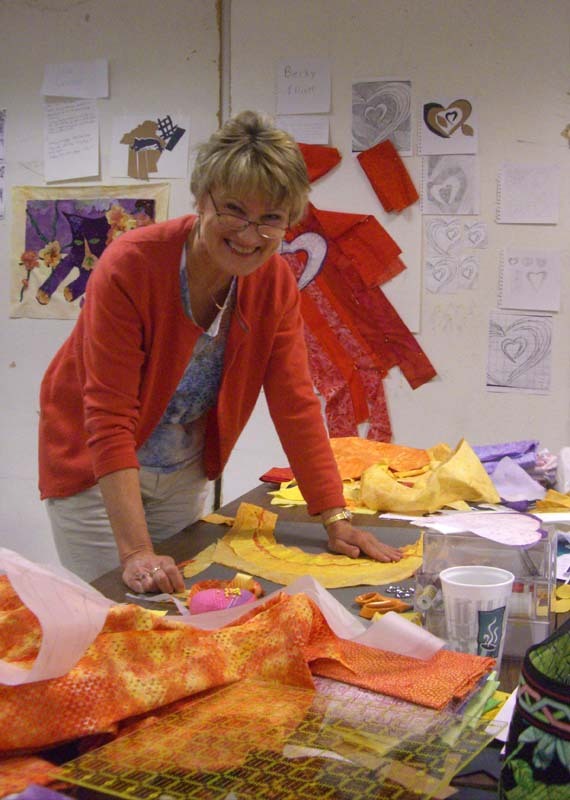 Joyce J. Ritter, Fabric ARTIST! Another great QSDS! Thanks to Tracy and Diane and Diane and Mary and Judy and Marla and, and, and! And thanks to Becky and Elizabeth. I was really pleased with Design Square Apartments and CCAD- it’s an excellent site for QSDS. The women in the library were so helpful, the desk personnel in OSA were great. Hills Market is fantastic: great selection, and fresh, good food. You all work so hard to make it possible for us to have a good experience and you take care of such detail (the signage, for example, that labels rooms and points in the right direction). I never expected to be involved in quilting or fiber arts. Once I began the journey though, via the QSDS classes, I feel I have a viable support group, friends and resources to keep growing and learning. QSDS was wonderful. 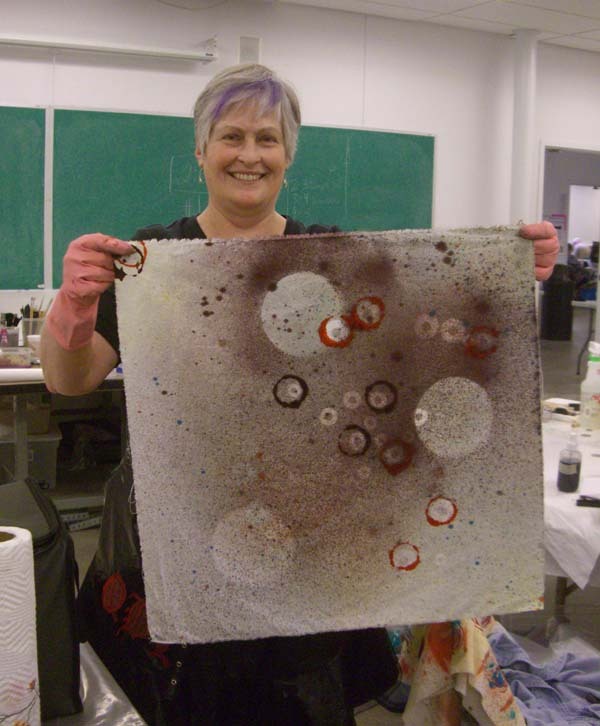 Living on campus and having the opportunity to meet great quilters and surface designers was meaningful. Time with instructors during lunch and dinner at the cafeteria was terrific. My conversations with fellow classmates were stimulating and thoughtful. The enormous amount of information and techniques that I learned during the five-day workshop has changed my quilting life. I now see myself in a larger world of fine art and see the many avenues of opportunities available. They were always there- but my instructor, Jane Dunnewold, helped me to see what I did not see before. 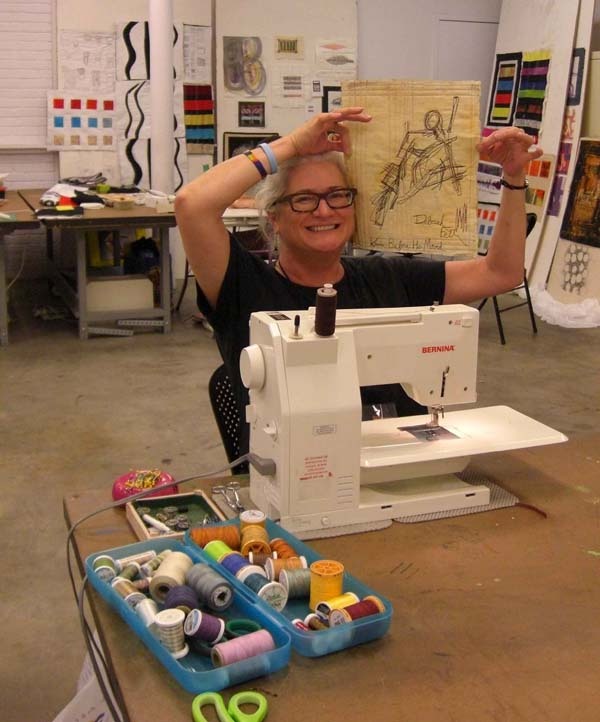 QSDS is the one symposium / workshop that truly allows the connecting thread to other artists. This is the place to affirm yourself as an artist and the learning is far beyond the workshop instruction. What a luxury: two weeks in a beautiful environment with like-minded people, laughing, learning and sharing anything fiber with no distractions. I'll be there again next year. I've been to QSDS twice in the last five years and can't wait to go again next year! The housing is comfortable and friendly! The food is better than most in this kind of environment (and if not, there are many restaurants in the area). The staff couldn't be more helpful and caring! And the students who flock to this terrific creative art event are the BEST! The QSDS staff keeps us busy and happy with interesting and fun events at night, which is very welcome after a hard day of art work. I also really appreciate the fabulous resources that are available at the design school - the library and the ART everywhere! Nowadays, many people are concerned about security but I felt secure and safe on the campus and the surrounding neighborhood. I CAN'T WAIT for my trip next summer! Thanks to Tracy and her fabulous staff who make QSDS such a rewarding, constructive and friendly event!